Jorge's Habit Habanero Sea Salt infuses the amazing flavor of the habanero and sea salt to create a salty explosion with a smooth kick. 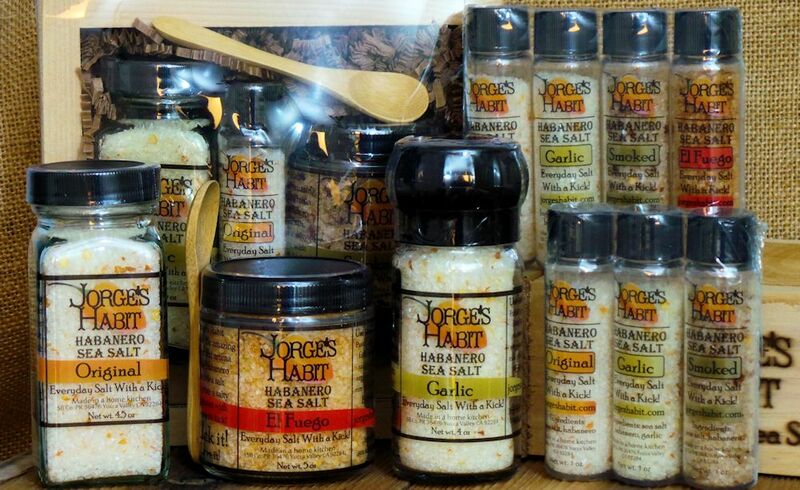 Jorge's Habit Habanero salt does have heat from the habanero, yet mild enough for the average palate to enjoy. Depending on how it is used in your recipes you can have more heat or less heat, and at the same time experience the unique delicious flavor of the habanero that in other forms would be too hot for many. See our recipes for yummy ideas. Of course you can even just LICK IT!